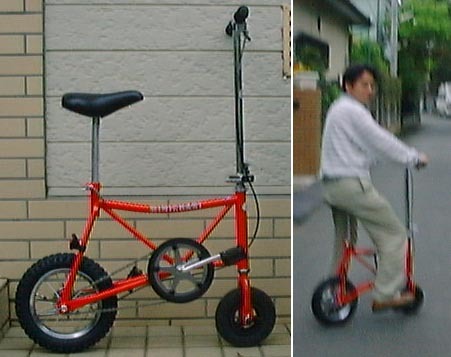 The old (about 20years ago) Prototype bycycle. 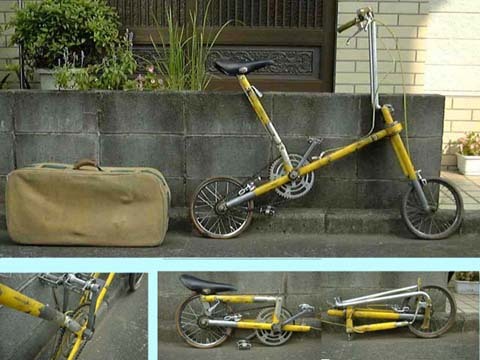 The name of this bicycle is Micro bike. The original model designed are in Sweden. This is a product model made in Japan. 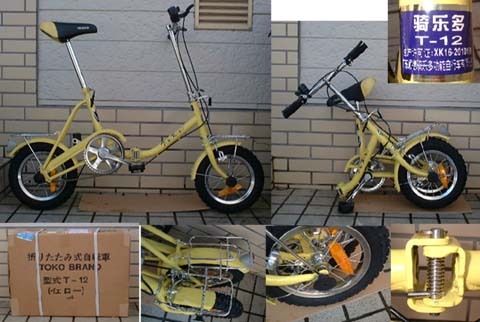 New model of Bridgestone Cycle in 1999. The scooter made in Taiwan. Both wheels are chandged from original. This scooter has a single crank. To Page of "Prototype bycycles,sasakisan made"
To Page of "Tools,Sasasakisan has(English)"